This mod adds to the game souls of mobs that you will get as drop. 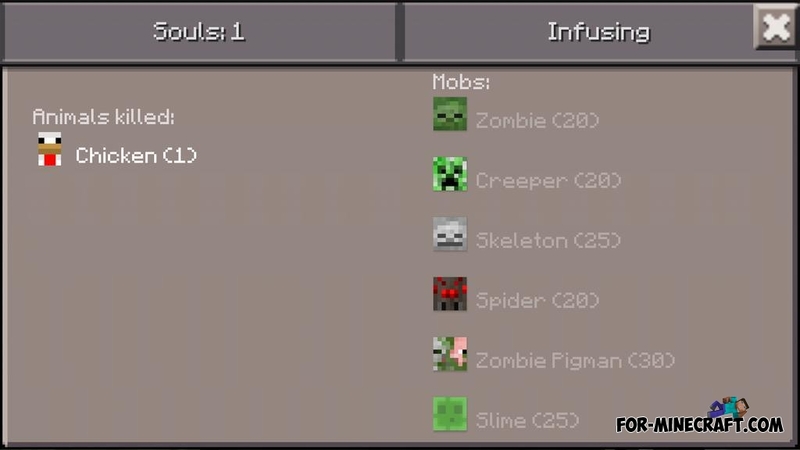 After collecting a certain number of souls you will be able to craft a spawn eggs of mobs. The mod can be useful when you need food or you want to create a farm of mobs, but do not use cheats, and extracting everything you need for yourself. You need to craft an ordinary book (id 340), then tap by it any place to use the GUI interface. Kill the mobs and collect souls.